Our Bright Lights contest and fundraiser was a huge success. We had a record 25 homes entered in the contest and a record 1400+ votes cast! Manville was in bright lights this holiday season. Many thanks to the homeowners for their creative displays and support of the MAC and to the community at large for embracing our fundraiser and casting over 1400 + votes! An special thanks to our prize sponsors who gave a record number of prizes. We hope you had as much fun as we did bringing this to our Borough. Thank you to Nan and the Manville Library staff for their support in anything we do! And I also want to thank the Bright Lights Committee, your hard work and dedication bringing the arts to Manville is truly inspiring! You can still enjoy the Bright Lights through the Holiday season! There are plenty of homes decorated in Manville to see. Come out and see the creative displays all over town. Get our interactive map here or printed copies are still available at the Manville Public Library during their operating hours. Our Bright Lights Sponsors and Prizes Gallery - Thank YOU! The homes are decorated, the map is set, the voting guitar pick are available! Our 3rd Annual Bright Lights is in full swing! This is a record year for the Manville Arts Council’s year end fundraiser. This year, a record 25 homes are participating in the contest! We have an amazing list of prizes to award. Our top three vote-getters will in a one night stay in a Family Suite plus 4 Waterpark Passes at the Great Wolf Lodge in the Poconos, four tickets to see The Nutcracker at Morristown Performing Arts Center or 2 Hours of bowling for 5 People at Bowlmor in Green Brook! This year, we have addional prizes for homes that didn’t get the top three votes. Just for registering they will be entered in our Rudolph Raffle to win one of four fantastic prizes, two passes for 4 people to tour the Macy's Thanksgiving Parade Studio or two $100 Gift Cards for dinner at Sahara Restaurant in Manville courtsey of Mayor Onderko! But if you didn’t register your home you can still get in the fun by participating in the voting, driving to see the amazing displays and choosing your favorite. All you have to do is get some of our official voting guitar picks (a donation of $5 for 5) at the Manville Public Library and fill out the raffle ticket to win one of these amazing prizes! Manville Pizza Restaurant and Game & Party Place - $100 Gift Cards each to enjoy all the amenities; Reading Cinemas - 4 Family of Four Pack of Movie Passes; Six Flags - 2 Complimentary Passes; Pinots Palette - $70 Gift Card; AR Workshop - $50 Gift Card; Glassworks Studio - $25 Gift Card; or Longwood Gardens - 2 Entry Passes! Take your family, pick up some voting guitar picks at the Manville Public Library and a Bright Lights Map, bring some hot cocoa and join the fun! 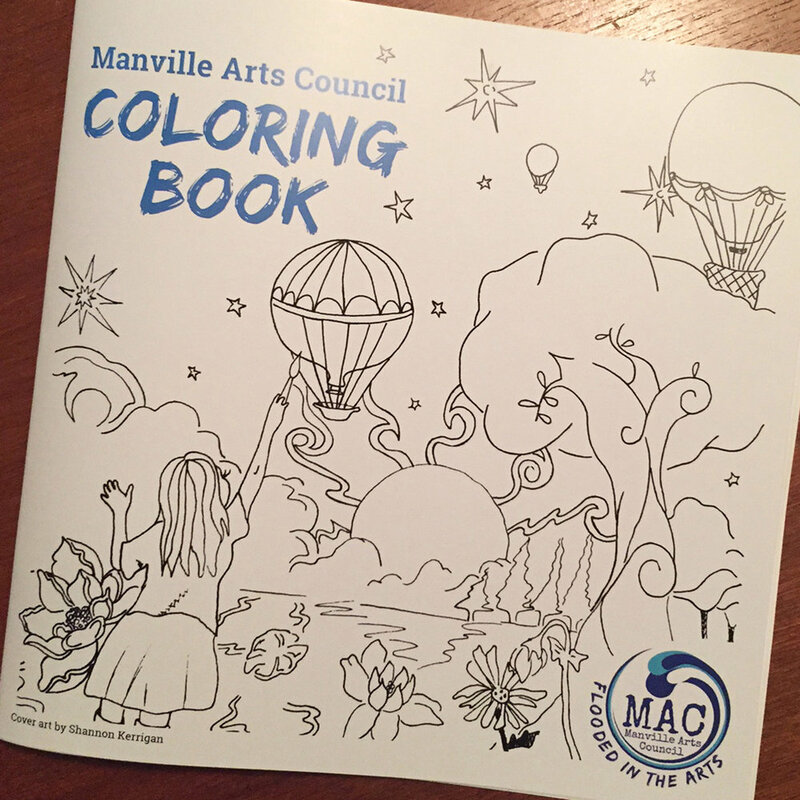 The Manville Arts Council Coloring Book is Here! 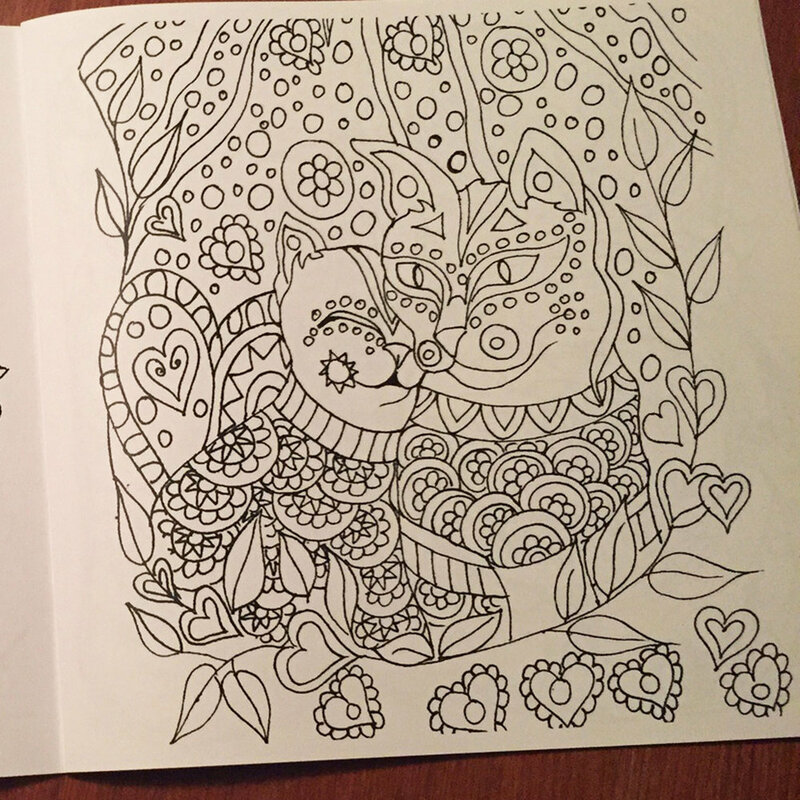 Our long-awaited Manville Arts Council Coloring Book is finally here! The artwork within the book is one-of-a-kind original designs. Each unique to the artist. Each one to color and make your own. Thanks to all the artists who entered our contest. You truly are talented. The cover was drawn by Shannon Kerrigan! We loved the whimsical drawing that depicts a creative spirit. Also included is art from the following artists: Dr. Maria Auletta, Jaci Barney, Mason McDermott, Barbara Schneider and Weird Vanity. Books are available for a donation of $10. Pick up your copy at the Manville Public Library or order HERE. We hope you love the book as much as we do! The MAC would like to thank all the incredibly talented artists who participated in the Design-a-Coloring Book Page Contest. Each artist whose work is chosen to be in the final coloring book will receive one free copy to enjoy. Judging will take place in the coming weeks and the coloring book will be available for purchase this September.